Roman Catholic Identity: "Good morning, my intercessor and my very faithful friend"
"Good morning, my intercessor and my very faithful friend"
A significant part of the "vetting" process the Church prosecutes before declaring a person a Venerable, Blessed or Saint is the proving of a miracle through the person's intercession. Impartial physicians' testimony and scientific evidence is gathered to assure the miraculous event was in fact miraculous. Read this past post for more information on the process. Such was the case for the cause of Cardinal John Henry Newman when Deacon Jack Sullivan of Massachusetts prayed for his intercession and was cured of chronic, debilitating back pain. This miraculous healing, defying any medical logic, paved the way for Newman's beatification this past September. Deacon Sullivan proclaimed the Gospel at the beatification Mass. A second miracle is required before a Blessed is declared a Saint. Though not yet verified, there are several reports of miraculous healings after praying to Blessed Newman. Deacon Sullivan was asked by the mother of a young girl suffering from incurable reflex sympathetic dystrophy syndrome, a disease characterised by continuous and intense pain that worsens over time. While watching the beatification ceremony from her hospital bed, the girl's pain stopped. Sullivan also reports miraculous happenings at healing ceremonies in which a relic of Blessed Newman is venerated: a teenage boy was healed from a brain injury sustained in an auto accident and a Detroit man's liver cancer vanished. Full story here. 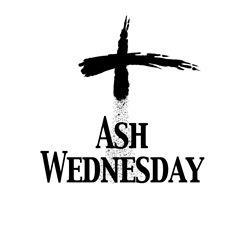 Deacon Sullivan begins his day with, "Good morning, Cardinal Newman, my intercessor and my very faithful friend". 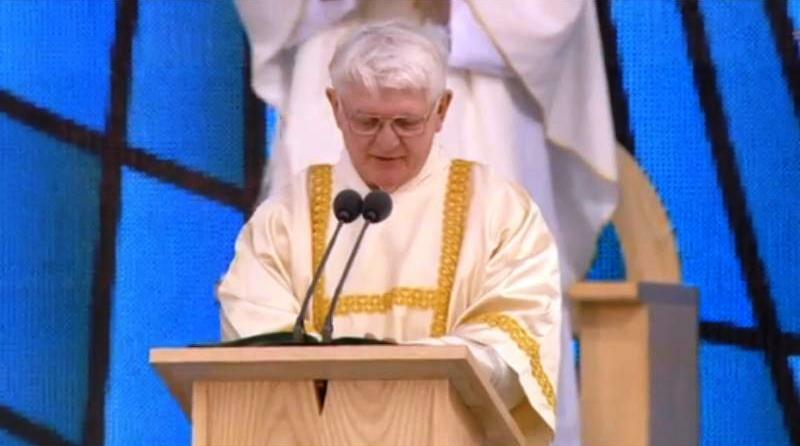 Cries for Karol Wojtyla's canonization were heard as early as during his funeral Mass, "Santo Subito". Pope Benedict waived the customary five year waiting period after death and proceeded to fast track his predecessor's cause. 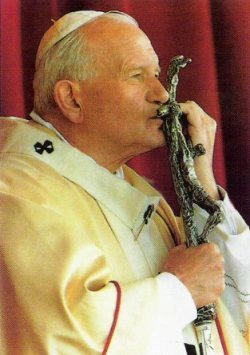 Declared Venerable in December of 2009, it appears as though JPII will be beatified as early as this year. Reports have surfaced that the miracle required for beatification has been approved. The case involves the healing of a French religious sister from Parkinson’s disease. 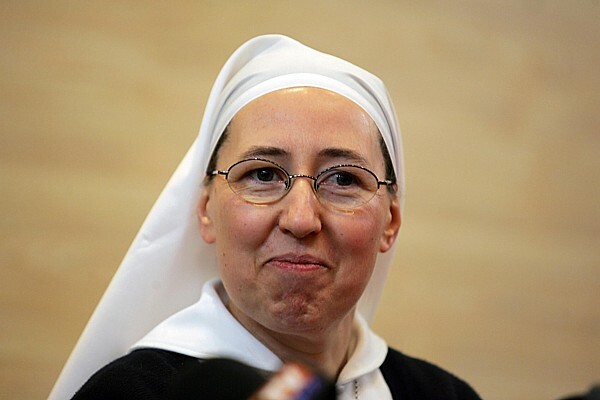 Sr. Marie Simon-Pierre was diagnosed with an aggressive form of the disease in 2001. Her order prayed to John Paul II after his death for help. After writing the Pope’s name on a piece of paper one night in June 2005, she reportedly awoke the next morning cured and was able to resume her work as a maternity nurse. Blessed John Henry Newman and Venerable John Paul II, pray for us!